I cannot remember what I did to get the package that I got over the mail the day before yesterday, but I guess it was a lettering. I occasionally letter a comic for Zone 5300. The editor, Tonio van Vugt, sent me some stuff of which he thought I might enjoy it. He thought that right! 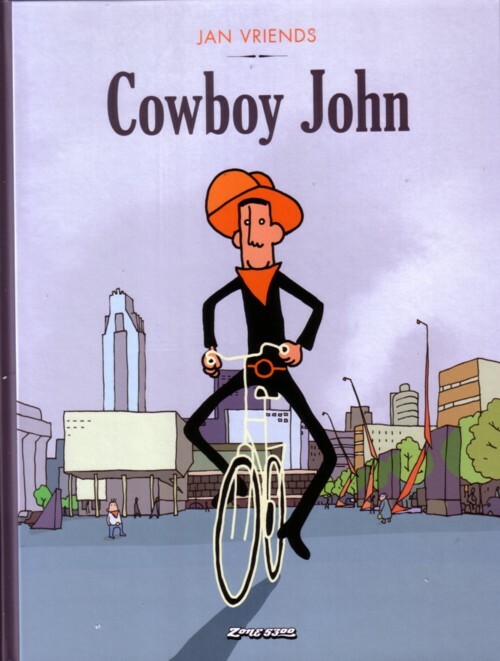 At first I didn’t really like the Cowboy Jan book, but when I was halfway I noticed that I smiled more often than I thought I would. And when I finished reading the book I had become a fan. Cowboy Jan rocks! On one of the CD’s is a track that I could have shared with you yesterday. It is another star song, by The Eyeliners, an almost all girl band in the tradition of the Runaways. But when I checked the band out on Google, it turned out that they did a song together with Joan Jett! So, here is the video of that song.